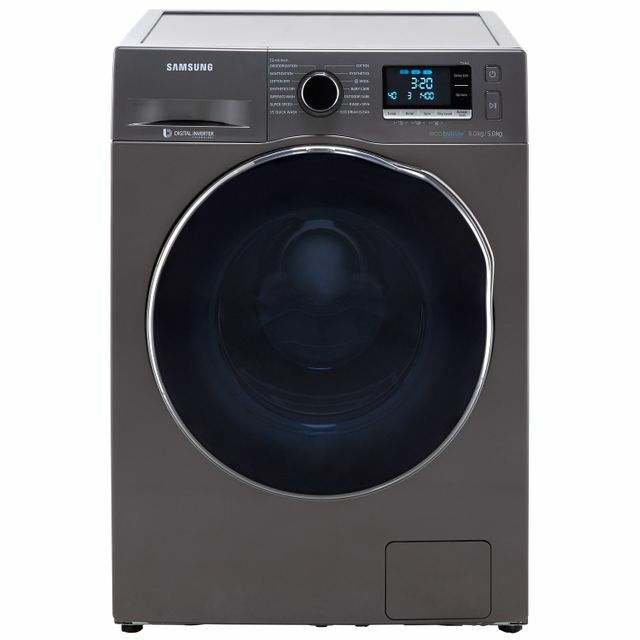 From officewear to gym gear and anything in between, this washer dryer from Samsung leaves every outfit spotless. With an 8kg drum, you’ll never struggle to get through the mountain of laundry in medium-sized households. Thanks to clever Bubble Soak technology, you can wave goodbye to difficult stains too. By soaking clothes in soapy water for 30 minutes before the main wash, it loosens stains so everything’s left beautifully clean. There’s even a 15 minute quick wash, which is really useful for cleaning extra work shirts on busy week nights. This model also has a digital inverter motor, making it quiet and efficient. I have been using this for the last week now and am very happy with it. Cleans my washing very well and the dryer function is great. This Samsung washer dryer is just that but it’s a whole new experience. Laundry is no longer a hassle, this machine is both easy to use, intuitive and has everything you need to ensure your laundry is clean. Everything we have out into the machine has come out clean and smelling fresh. It uses less energy than our previous and it is very quiet too. I highly recommend any day of the week. The washing machine met most of my expectations after reading previous reviews. I would agree that the manual can be a bit tricky to use as a reference. I've figured out the perfect wash cycle for most of my laundry by using baby care setting (roughly 2 hours) and lowering temperature to 40c. Washes Well but very long cycles. 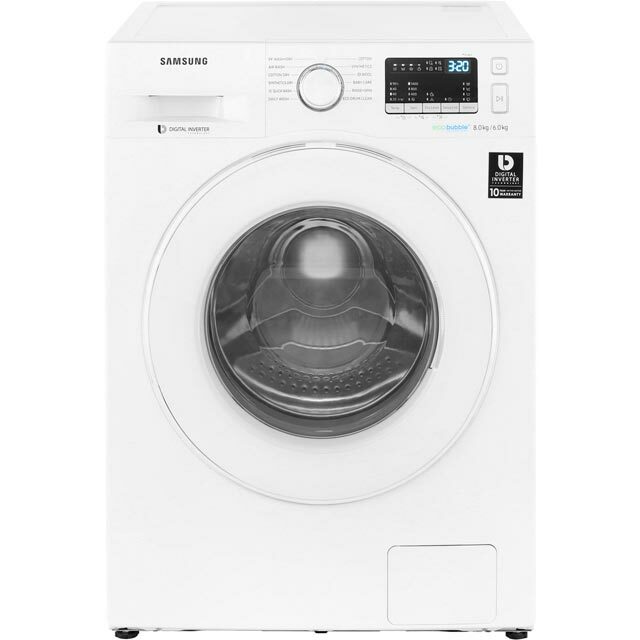 Good washer but doesn’t dry well on full loads and laundry is quite creased. Also it takes a ridiculously long time. The cotton wash & dry cycle takes 7 hrs. 50 mins. and just the wash cycle is >3 hrs! Had I known this I wouldn’t have bought it. We have had both a freezer and a washer recently and I cannot fail AO at all. They keep me updated by text throughout the process, turned up at the right time and the delivery staff were polite, efficient and helpful. Would strongly recommend and in future I wouldn't use anyone else. Looks ok in white but wish they had silver or black. That aside it is easy to use without swallowing the manual, quiet and doesn't vibrate too much. Also doesn't crease the clothes too much when using the drier as long as you take them out as soon as it's finished. 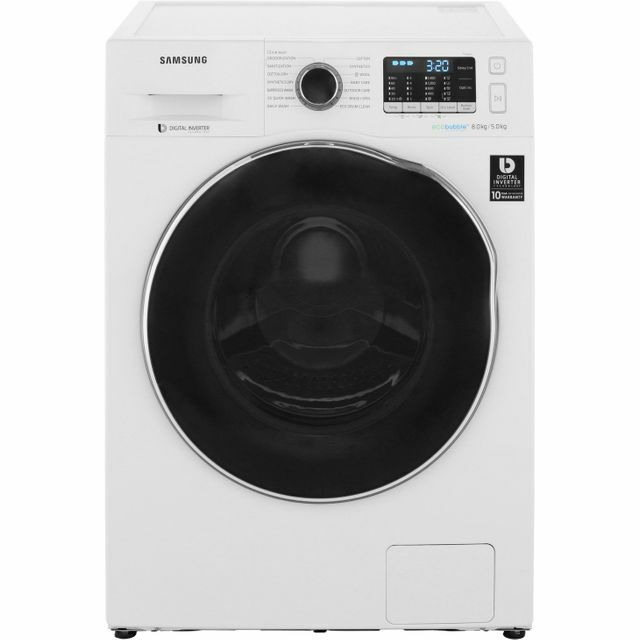 Much better than my previous Hotpoint IWDC6125, that I couldn't use the drier with unless I liked lots of ironing. I am not supposed to mention after sales service, but I had an intermittent power fault in my apartment, complicated by a leaky water connection, and I can safely say that AO's after sales service was fantastic.